“I’ve found the R-Lt excellent so far. No point me keeping the tester any longer – I’ll post it back tomorrow or Tuesday and put an order in via the web site. “So far the saddle has gone well, in that my weight goes through my sit-bones – I could feel it straight away. I have moved the saddle forward but kept the nose level as per your instructions but I’m finding that now I am getting too much weight through my wrists when riding on the flat. I guess I’ll have to maybe lift the nose up a bit and play about with its position but overall I’m happy that the RLt does what it is supposed to do. 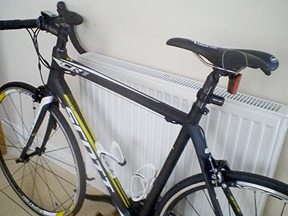 “I have been riding the RLt on my road bike and it has been a favourable experience. In the time I have had the saddle on the road bike I have done long and short rides, climbing and intervals ranging from 10sec to 10min. 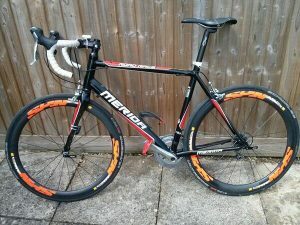 I am going to try and swap saddle on my TT bike next. I have some reservations doing so. 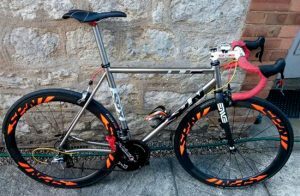 My TT bike has an ISM and the fit is dialled in for the OEM saddle and I am not able to cut the ISM. So it may not work out on the TT bike. I have noticed that while the nose of the RLt isn’t as wide or as padded as my OEM Oval TT saddle it has not been uncomfortable to ride the nose of the RLt on the road bike. I have not (been) able to confirm the improvement in power or force while climbing as my power numbers are about the same since changing to the RLt. 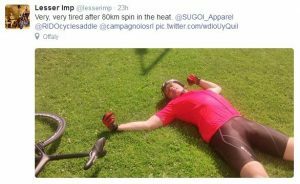 “Two years to the day I had my prostate removed and having retired to the Pyrenees to cycle my life away, 12000+ kms a year, I got back into cycling as soon as I could. But after two hours cycling I was so uncomfortable, (so) I looked for a saddle to give me the comfort. In the last two years I’ve had 4 different models all giving me discomfort over 2 to 3 hours in the saddle and climbing Tourmalet last month I returned with so much pain down under I said I’d give it one more go at finding a saddle. So that’s how I found you on the net. After three 2-hour rides I found the right setting to give me the comfort and it’s been nothing but joy to ride my bike since. 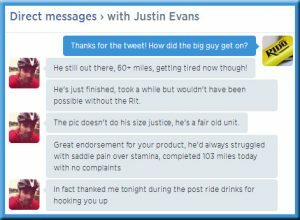 “Just thought I would drop you a line regarding my recent purchase of RLT saddle. I am finding it difficult to relieve pressure on my perineum. I have started off in the default position and if I tilt the nose down slightly I find it puts more pressure on my wrists. On a plus point my sit bones no longer feel bruised as from my Specialized Troupe saddle. Do you have any suggestions to help me configure correct set up. “Pressure mapping tests show that perineal pressure is pretty much non-existent but, of course, degrees of pressure in this region can be upped by bearing down on the nose more than usual in a more extreme aero position. It sounds to me that after having tried tweaking the nose down very very slightly (a notch on the clamp ratchet can make a significant difference) you would benefit from shifting the saddle forward a bit (ensure you remain within the MIN-MAX scale on the rails) so that the predominant resting position of your sit bones adjusts to just behind the uppermost point of curvature of the two sitting areas. If you have an off-set seat post so much the better. 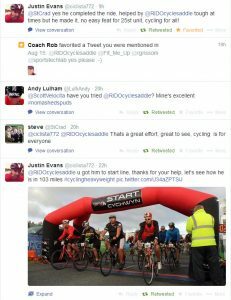 “I did what you suggested in moving the saddle forwards. I also lowered the saddle height slightly. Have just come back from a sixty mile ride and the only thing that is sore is my legs. Arguably the best bike purchase I have made. 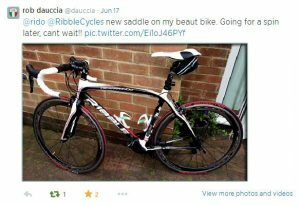 “Unsurprisingly, I am an extremely satisfied customer of your RLT saddle. 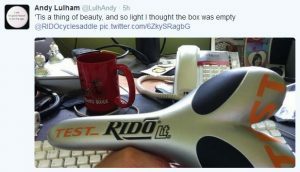 “Thanks – I’ll return the (TEST) saddle tomorrow. 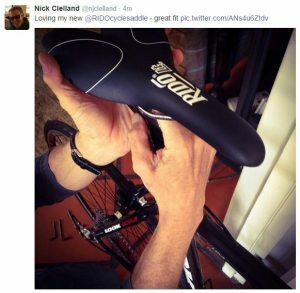 “Overall, the saddle (black RLt) works for me. What impresses me the most is that is doesn’t become more uncomfortable the longer I ride, as is the case with many padded and non-padded saddles. I’m still having to make some adjustments, and will try dropping the nose down about a degree and possibly moving the seat forward by 1 or 2mm. If someone asked me about how to design the perfect seat, it would be the Rlt with a cutout. 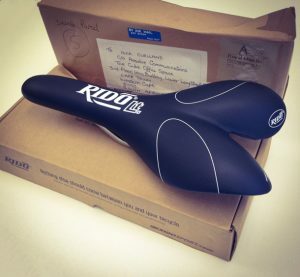 I know that your company, as well as the owner of Kontact Saddles, both believe that the raised seat is enough to clear the nerves, but the reality is that many riders anatomy demands the cutout and if you add that in to the next iteration, you would open up the saddle to a much wider swath of the serious riding population. Here in the states, all of the Specialized saddles and many of their competitors have moved to a cutout format with a concave shape. “Good to hear from you, Ted, and glad that the RLt is suiting you. I know you were a bit apprehensive at first when you first enquired about our saddles. As regards the cut-out, the Lt2 development is well underway and this has the centre aperture you refer to. We will, of course, keep you updated as to when it will be available to order.